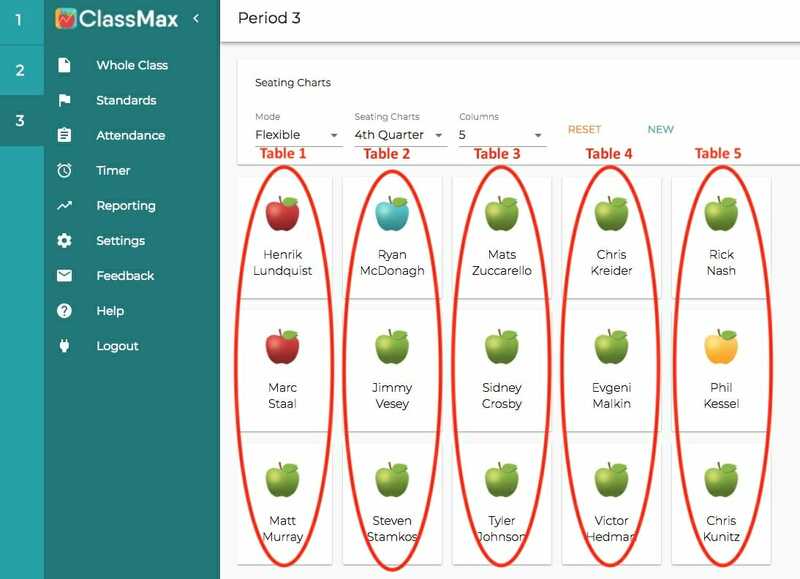 The seating chart feature of ClassMax is great for organizing a traditional classroom. In the “Fixed” seating chart mode, you can automatically arrange students by first or last name, in ascending or descending order. It makes creating a seating chart a breeze. 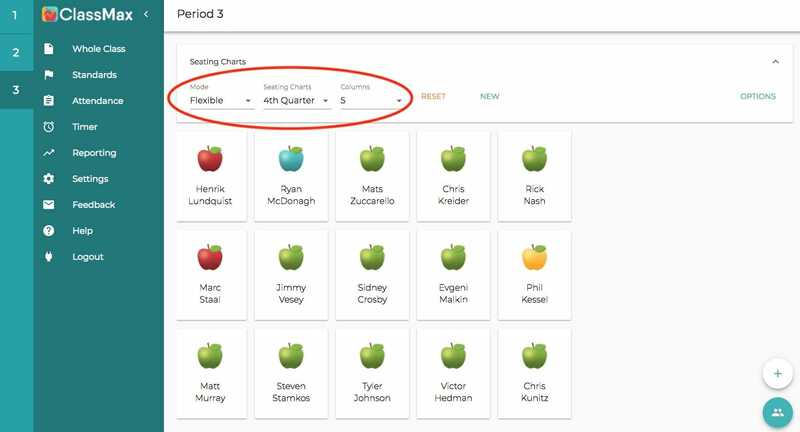 If you want to arrange students in a different method, you can simply click over to the “Flexible” seating chart mode and you are able to move your student icons around into a seating chart that better fits your classroom. But what if you have tables or untraditional seating? In my classroom, I have tables of all shapes and sizes and I often move these tables around for different activities, depending on the needs of my lesson. I came up with an alternative way to use ClassMax seating charts for my style of classroom and thought I would share with you today. I selected to work in the “Flexible” mode first. Then, I selected the number of rows equivalent to the number of tables in my classroom. For example, I have six tables in my class, so I selected six rows on the seating chart. Next, I dragged and dropped students into their correct table (or “row”). Now, my seating charts show up as a list of which students are sitting at which table. It makes finding who is not sitting in their correct seat (did I mention I’m a middle school teacher???) super quick. And it also makes it easy for me to input data and information for a table group. I can either go to my groupings list, where I keep groups by table, or I can simply go down the row in my seating chart and input whatever I need to track. Saves time and helps me keep a little sanity in my school day! This entry was posted in ClassMax, Classroom Management, General Information and tagged ClassMax, Classroom Management System, seating charts, teacher, teaching.